A former kitchen hand to the Queen of England and her Perth-born husband have created a home away from home along the Great Ocean Road – and given birth to a Paddock to Plate dining experience that’s impossible to drive past. Words by Leah Greengarten. As our car rolls up the private driveway leading to the Aire Valley Guest House, the sun is dipping, turning a flamingo pink over the lakes. In a postcard-perfect moment, a loudly chattering rainbow parakeet swoops us before arcing away, drawing our attention to the stunning vista of the Otway Ranges. What a welcome. Behind ladder-high bushes we spot the guesthouse owned and run by Martin and Annabel Tunley. The couple first saw the property on a website from their home in London. Martin is originally from Perth, so when the opportunity arose to move back to Australia, they jumped at it. Now they ensure that the Federation-style 17th Century homestead can happily accommodate walkers, foodies and families. 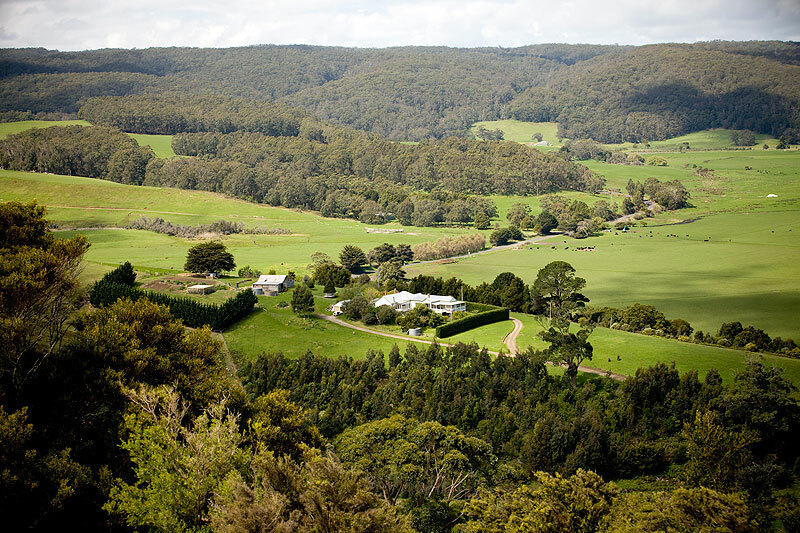 The pride and joy of the 15-acre property is its beautiful gardens, the main reason we’re here; Aire Valley’s famed Paddock to Plate dinner is an experience that no Great Ocean Road traveller should miss. Just reading the menu is making my mouth water. Everything from poached salmon to baked snapper to roasted lamb makes an appearance. Sure, produce like that is clearly not from Aire Valley’s paddock, with fresh fish and meat sourced locally. But, as our menu adroitly explains, “While you wait, your vegetables are growing”. 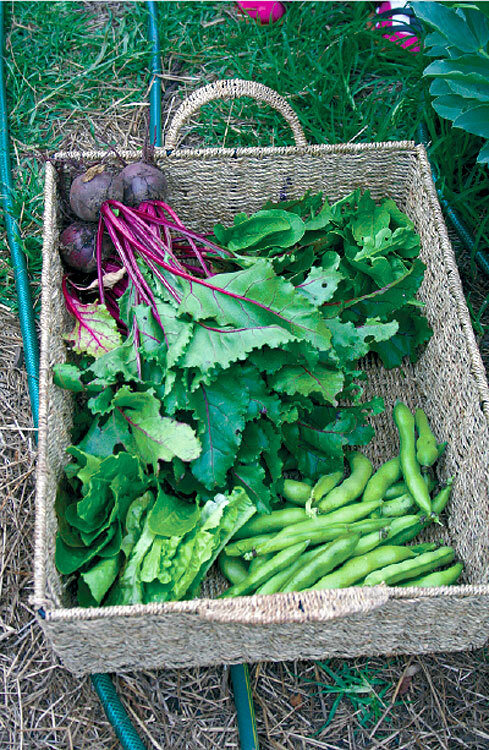 Every rainbow-coloured veggie comes direct from their own backyard. 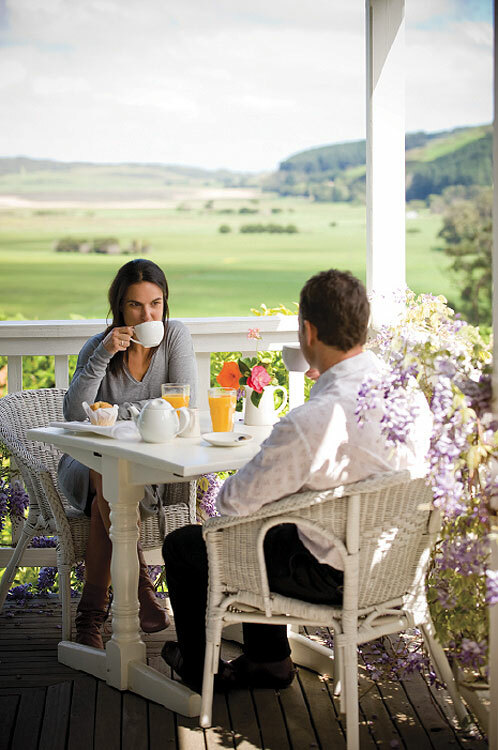 The homely restaurant with a fireplace and wooden furnishings takes centre stage. So homely and friendly, in fact, that by the time entrées are over we’ve joined tables with a mother and son couple sitting nearby. 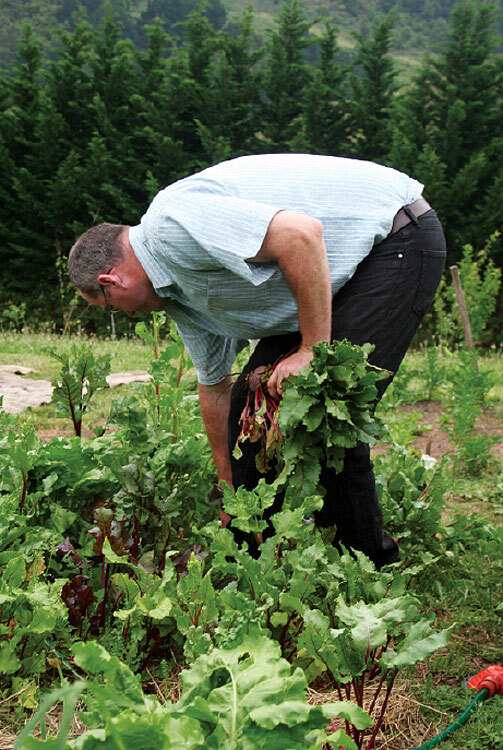 We’ve also decided, and this is the privileged option of all diners, to help Martin pick our vegetables. 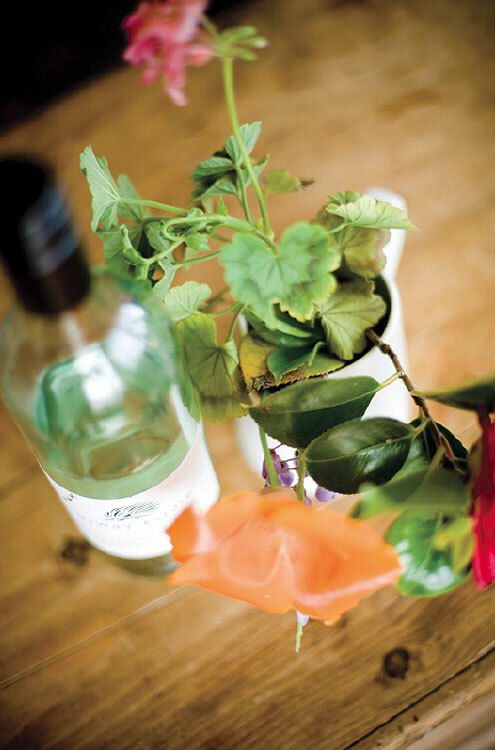 With a big straw basket slung underarm, we stroll around the gardens, wineglass in hand, plucking our own ingredients to be served later that evening – including bright beetroots, longer than normal broad beans, healthy looking pumpkins and plenty of herbs. The Tunleys have been serving fresh fruit and veggies from their garden for the past two years – but before the big move to Australia five years ago, Annabel worked in the kitchens and dining rooms of the Queen of England. Back then, all the produce fit for the royal table was sourced straight from the finely manicured gardens and private river of the Queen’s summer residence at Balmoral Castle. Here, we’re told that while we’re eating our main meals, someone is outside with a head torch looking for rhubarb for our dessert. When the crumble arrives, made with rhubarb picked only moments ago, it literally melts in our mouth. 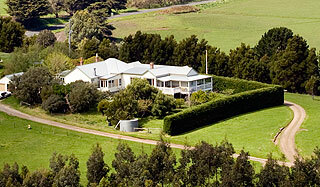 The guesthouse, with five bedrooms and adjoining en suites, also organises trips for walkers along the Great Ocean Road, with Annabel providing packed lunches made fresh from the garden each day. If you’re only a semi-serious walker, and you arrange for it beforehand, Martin will come fetch you in his snazzy red convertible. Then it’s time to relax on the long verandahs with a glass of wine. During the summer months, dinner is served outside. In winter, everything revolves around the wood fire in the dining room. Afterwards, our hostess has the whole restaurant holding hands in the garden experiencing her Galaxy Tour. The sky is tattooed in stars, there’s not an artificial light in sight, and Annabel’s hilarious interpretation of the constellations has everyone riveted. In fact, her knack for storytelling has spilled over into a modest career as a children’s writer, and a copy of her hilarious If My Dad Were A Dog can be spotted in the lounge room. It’s easy to see how this little sustainable gem along the Great Ocean Road is drawing in fans and keeping them happy with a full stomach. Where // 2590 Great Ocean Rd, Hordern Vale VIC. Notes // Accom from $200 per night. Food $10-$12 for starters, $25-$37 for mains, $10-$12 for desserts.